It seems we are moving. Make that: we are moving. From Vancouver to Ottawa. For those not familiar with Canada, that's a bloody long way. It's exciting, as long as I don't allow myself to think about it too much. Then it's simply frightening. To distract myself, I've taken to throwing most of our belongings into a massive garbage bin. It's eye opening seeing just how much stuff we have. Books, clothes, dishes, empty dvd cases. I never thought of myself as a consumer, but after looking at everything we have, it's obvious I am. On an off day I might even call myself a hoarder. I've seriously got boxes full of newspapers for reasons I can no longer remember. Most amazing of all, though, is the amount of toys we've accumulated over the past ten years. Children's toys. Dollies mostly, and stuffed animals. 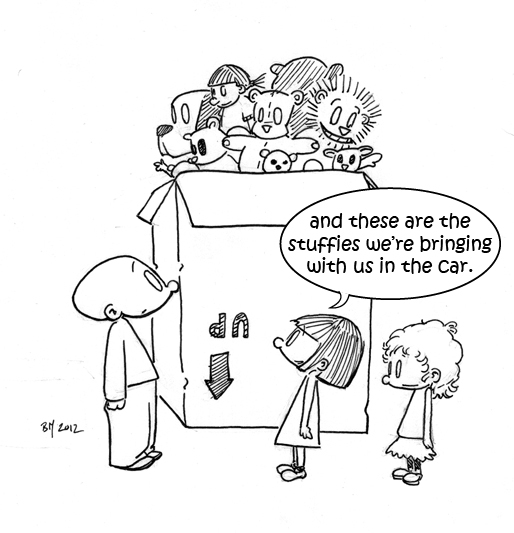 Holy cow do we have a load of stuffies! 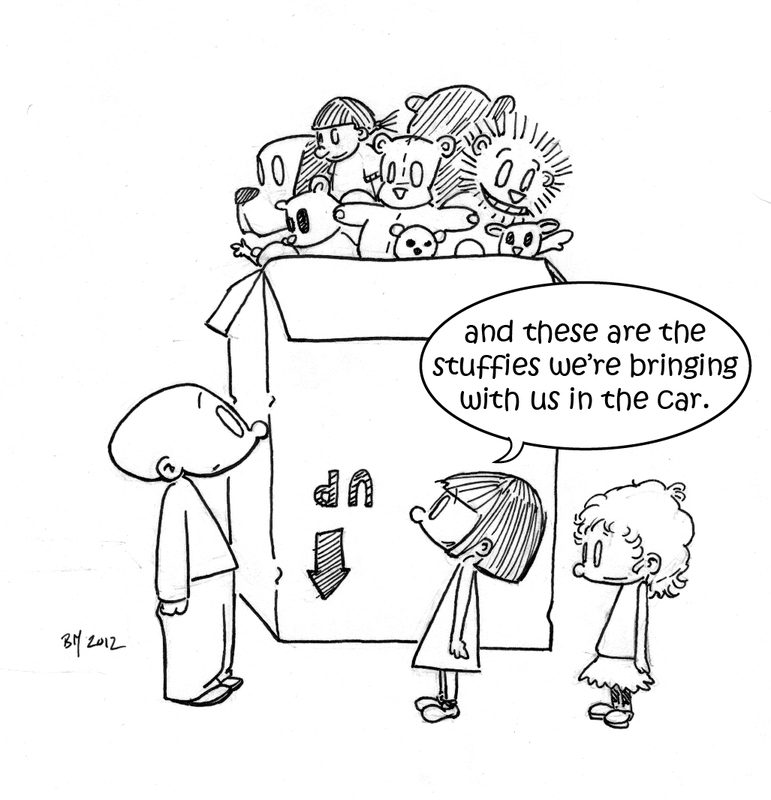 As part of the moving process, we've told the girls they are to choose a box full of stuffed animals, and the rest will be given to goodwill thrown in the dumpster. We must have a thousand of those fuzzy buggers, and my daughters know the history of each one, right down to the store where we bought it from. It's an amazing talent, really, but somehow they are going to have to decide which ones they are going to keep. Out of everything that has to happen between now and the end of March, this just might be the most difficult of all..
Good luck with the move, Ben. Hope everything goes smoothly. That is a looooong way. Escaping Entry is Free Today!